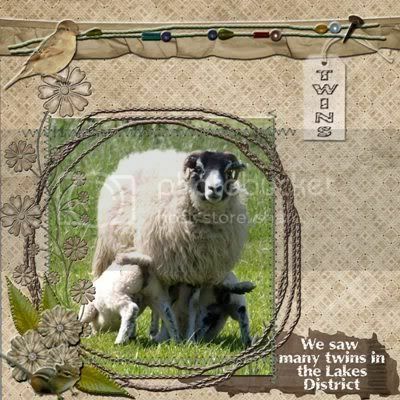 Here are a couple of pages I made with this super kit. 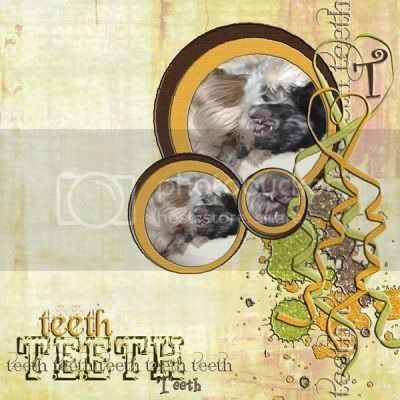 Benji seems to have a lot of teeth and of course they are very sharp and he wants to bite everything. Bought these 3 ornaments in a charity/op shop in Beverley in England. 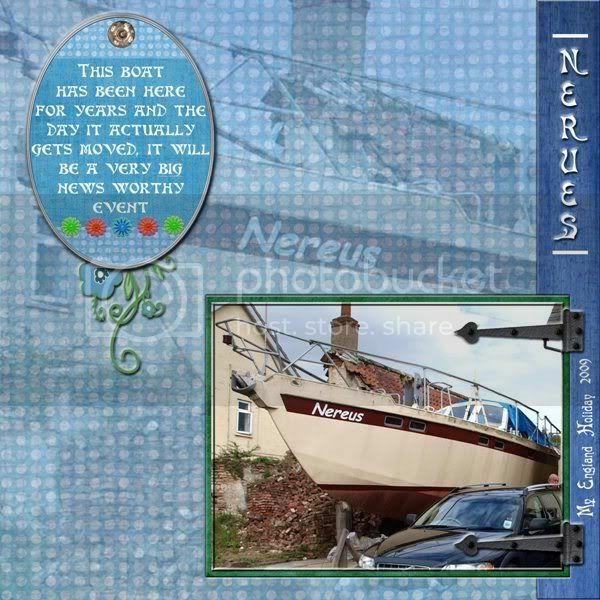 We loved to visit Beverley, because it has lots of op shops, but most of all it has a great antique shop, where we bought quite a number of items. 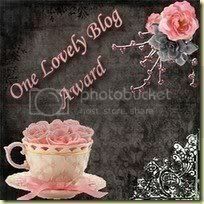 I have just received my first award for my new blog - How awesome is that? 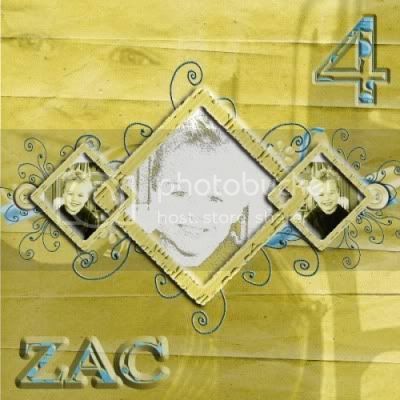 It was given to me by Jax ~ go visit her wonderful blog! 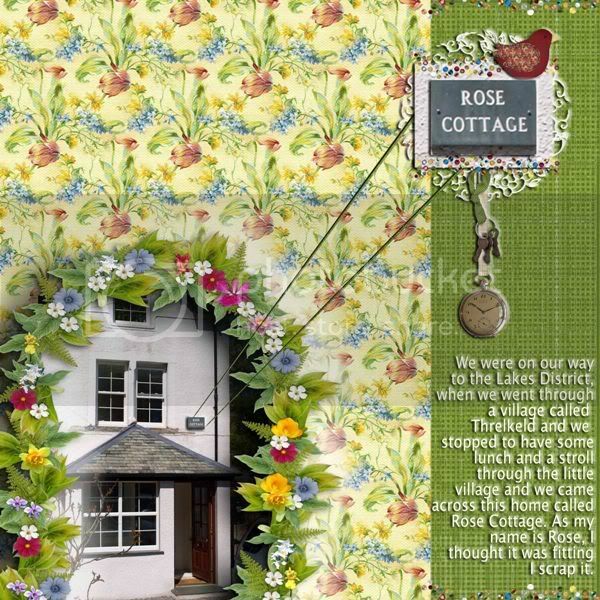 It's called "Time Began In A Garden"
Here are a couple of pages I made using this gorgeous kit. 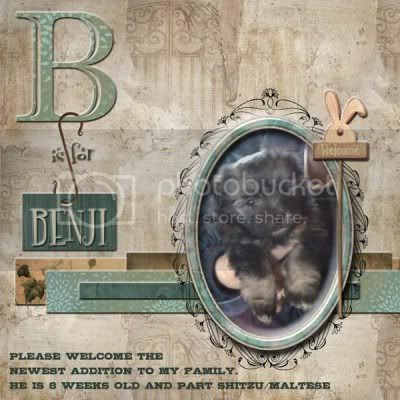 This is my newest furbaby Benji. I have had him a week tomorrow. He is simply an adorable ball of black fluff. He also has very sharp teeth. Ouch!!! The bedrooms were upstairs and the view was absolutely beautiful. 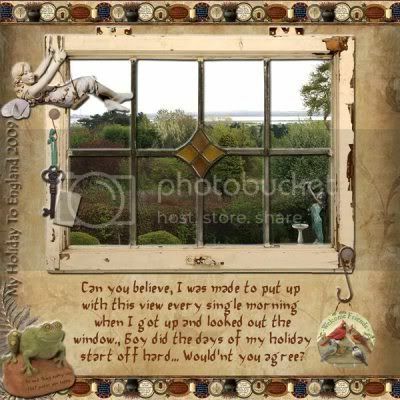 I spent time nearly every morning just standing at the window admiring the view and the wildlife that came into the garden. 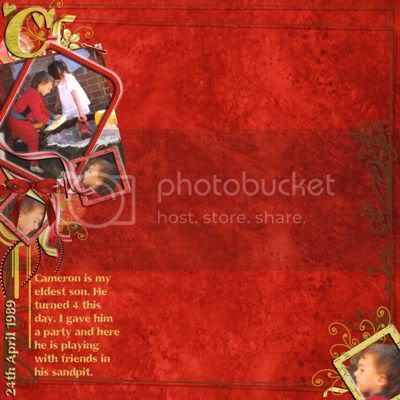 This layout was chosen "Layout Of The Week" @ K-Joi Studios. What a thrill it is to have a layout chosen out of lots of gorgeous pages. 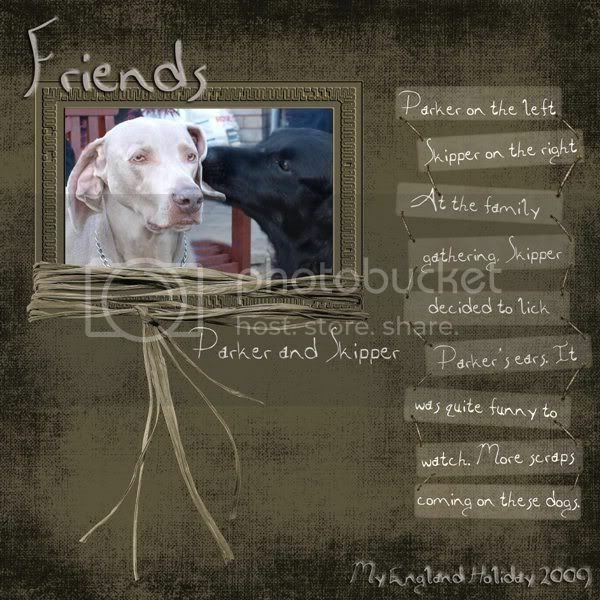 A couple of pages I made with this lovely kit. 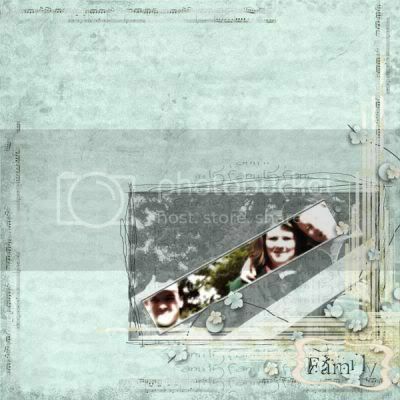 Here is another page I made using these great kits by Jennifer Rassi. 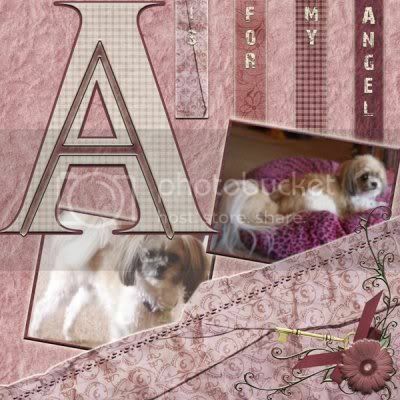 I decided to start an Alphabet Album and this of course is for the letter "A"
and who else should be on this page but my gorgeous furbaby "Angel"
Here is a page I made for the "Choose A Theme" challenge @ Angels That Scrap, which was "Children Playing". If you would like to join this challenge click here. 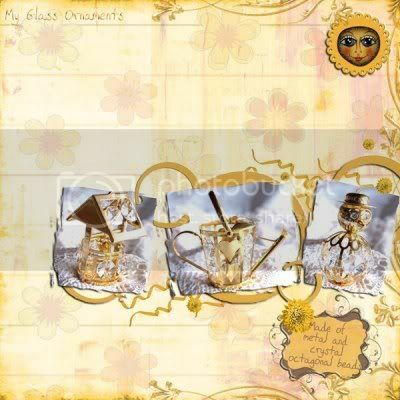 You will find this pretty kit @ Deco-Pages along with all SharonSignatureScraps other kits. 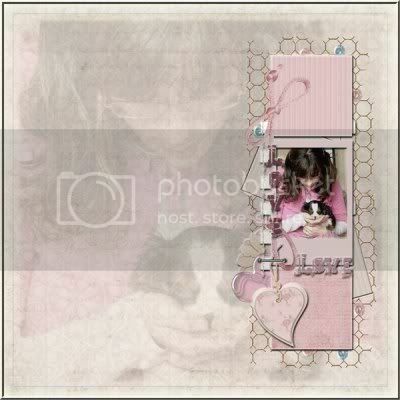 Here are a couple of pages I made using this pretty kit. 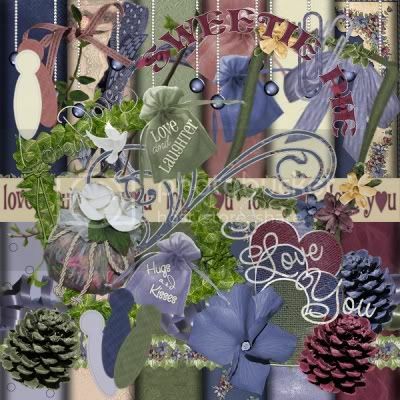 Deco-Pages CT pages for July, I have been working with some gorgeous kits. 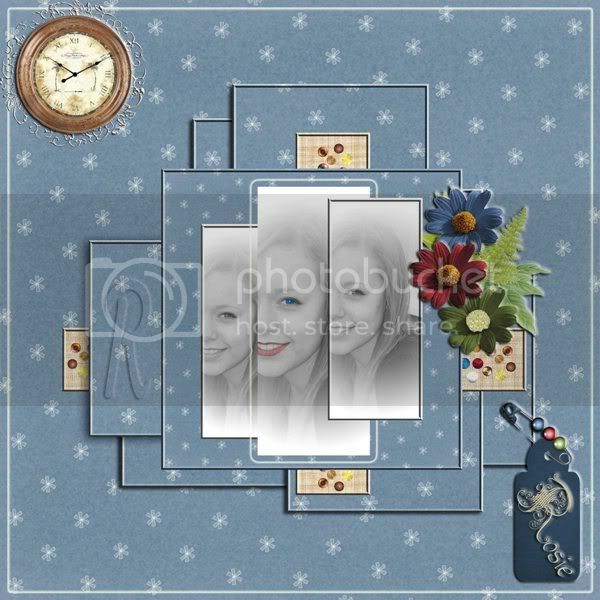 Here is a layout I made with this beautiful kit. This is my boys and I some 10 years ago standing on the back steps. 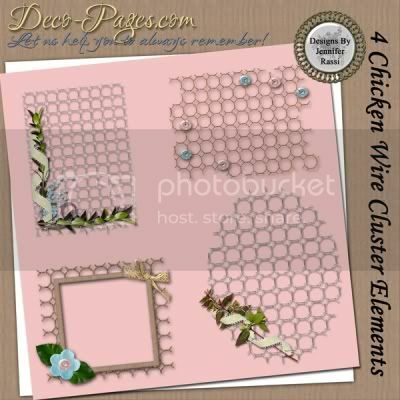 I love the Chicken Wire Custer Elements. Jennifer Rassi designed them. 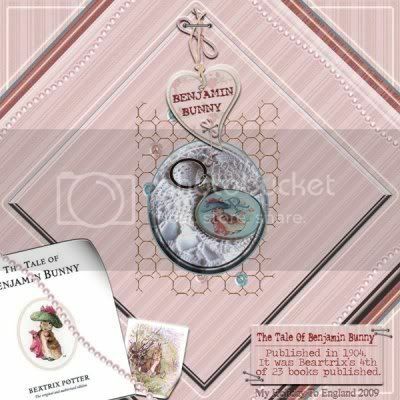 Jennifer Rassi also designed this pretty kit Forever Mine 2. Love it? 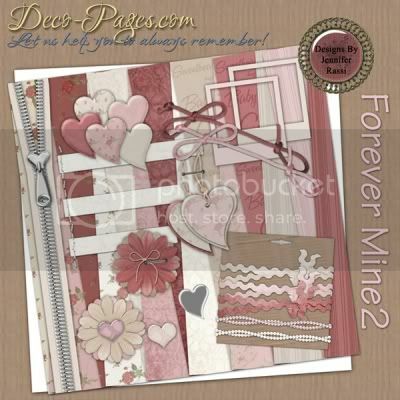 Then you will find it over @ Deco-Pages. I bought this keyring when I visited Beatrix Potter's Hill Top Farm in England when my mum and I travelled there in May this year. 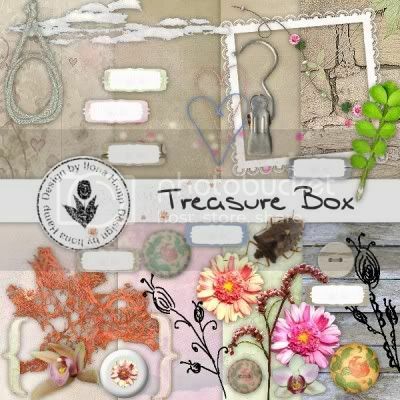 Another CT kit I have been working on is Treasure Box by Ilona Hamp. I love her kits. 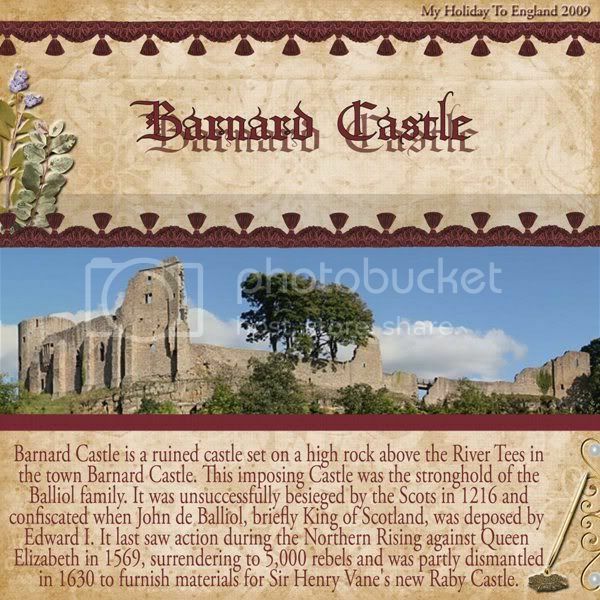 I collect trinket boxes and was given this one when visiting our relatives in England. 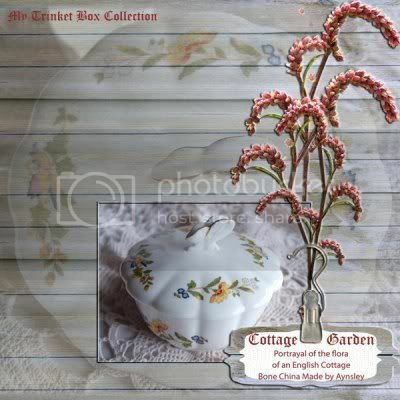 It is the largest one I have in my collection and measures 10cm across by 8cm high and the design is called Cottage Garden. Also whilst in England I found a small vase with the same design on it and of course had to buy it. 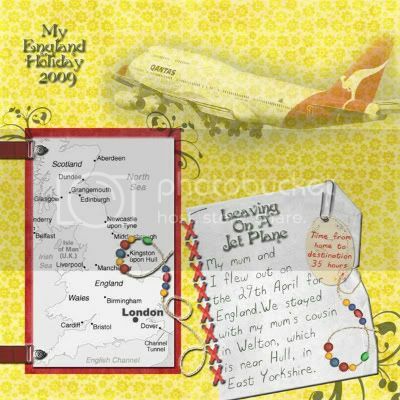 On April 29th my mum and I went on a 3 week holiday to England. 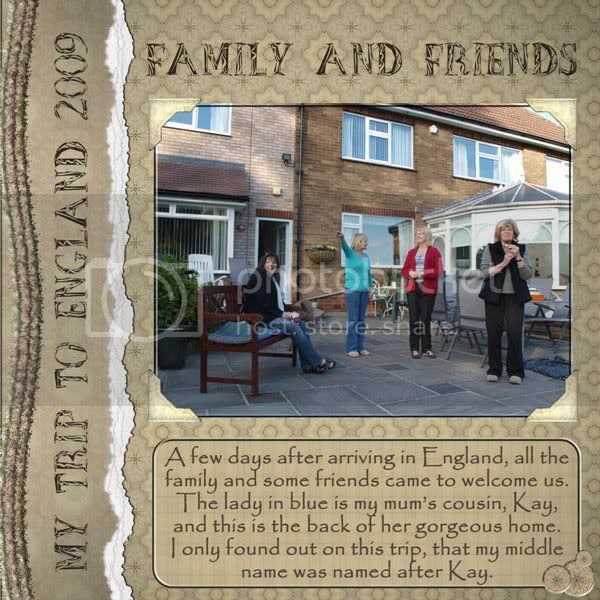 We stayed with my mums cousin, Kay. She is an absolutely lovely lady and makes you feel so welcome. 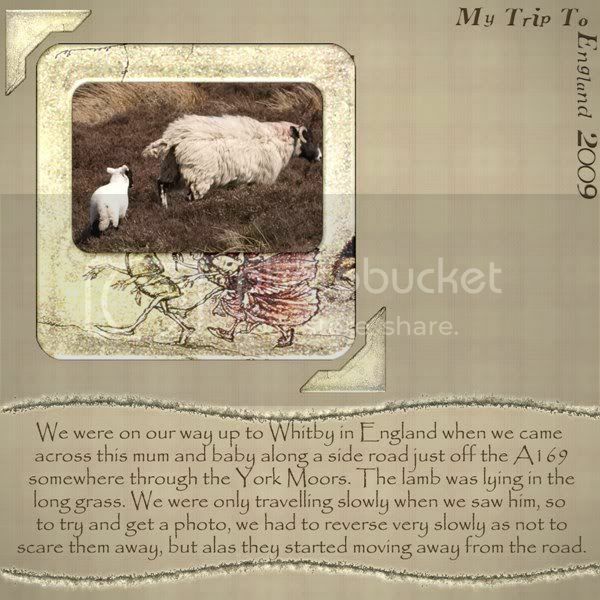 This trip was my second one to England. 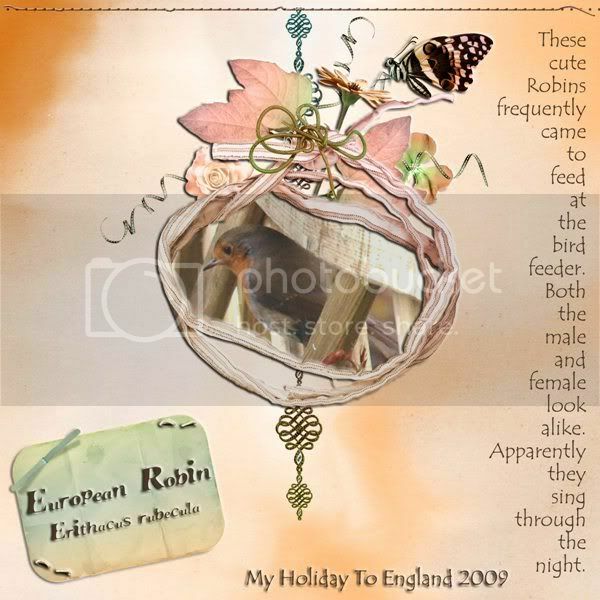 I have been so lucky to have traveled to England twice. 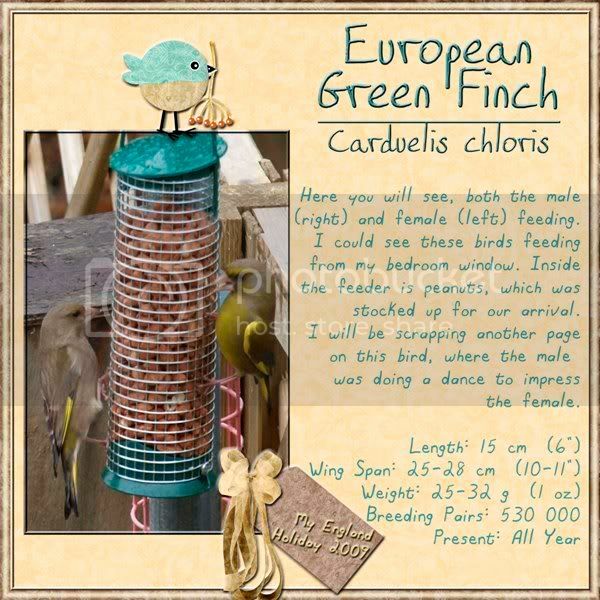 I had a lot of enjoyment watching all the birds coming to the various bird feeders Kay has in her garden. Another gorgeous bird waiting on the lattice fence right near the bird feeder. 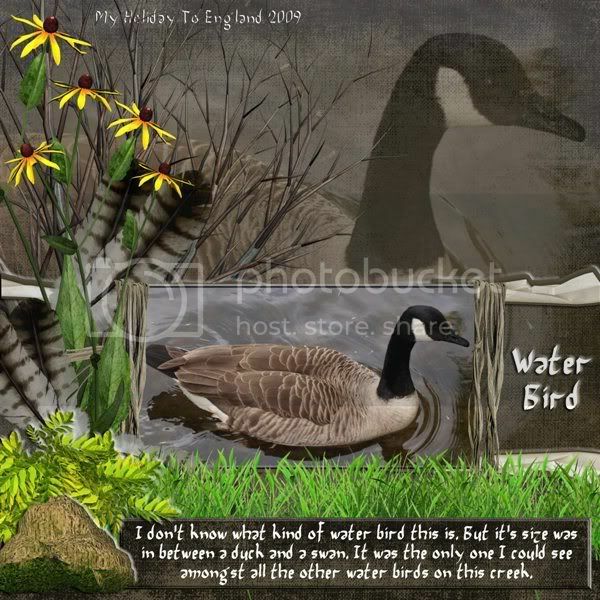 Since making the page below, I have been told that the bird is called a Canadian Goose. 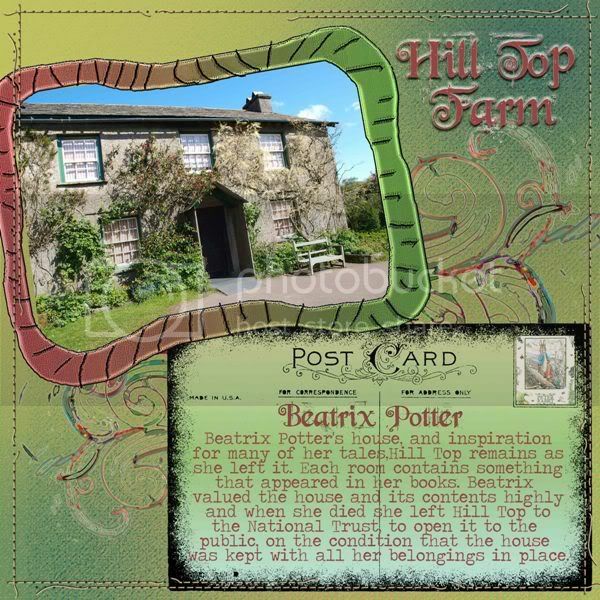 Visiting Beatrix Potter's Hill Top Farm was one of 2 highlights of my trip. 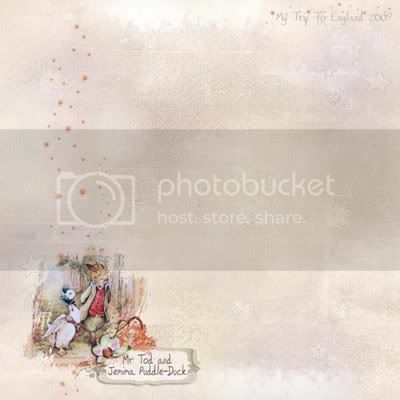 I have now started collecting Beatrix Potter memorabilia. 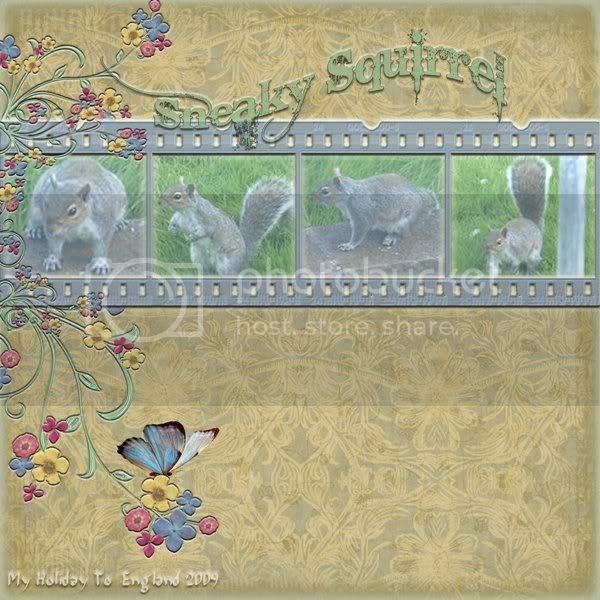 According to Kay and her garden, squirrels are a pest. So everytime she sees them in the yard she goes out and scares them off. However since I wanted to take photos of them, she let me do just that, before running outside to shoo them away. I took these photos through the windows of Kays awesome conservatory, built onto the back of her gorgeous home. This is Rosie. I'm not sure what relation she is to me, but her father's sister is my mum's cousin. She is growing into a very beautiful young lady. 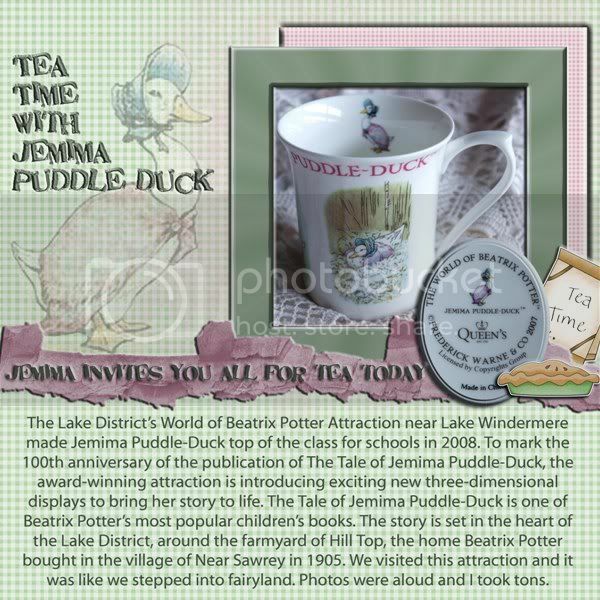 I actually bought this cup near my home, but I did buy a gorgeous Peter Rabbit mug whilst at Hill Top Farm, which I'm sure I will have to scrap soon, to add to my England Album. 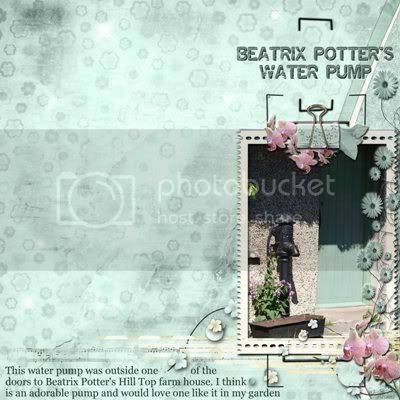 I bought this cute keyring when I was visiting Beatrix Potter's Hill Top Farm in England. I have numerous collections. One of which is beautiful china ware. I also collect trinket boxes and have quite a number of them now. 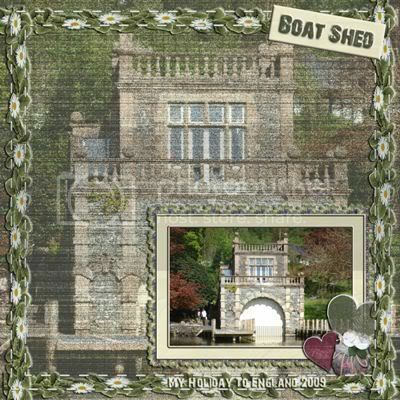 I will be showing some of those in future pages.